Many of you mortals belief that it was the false and weak Christian or Hebrew god who destroyed the tower of Babylon…… this is just a lie. The weak and pathetic Christian or Hebrew god had not the power to confront the mighty Persian gods. In this tale you will follow the destiny of the Persian boy Mehrak and you will learn the true story of the tower of Babylon ! This map contains a voice acted intro and end cinematic. After the intro cinematic you can explore the entire map yourself and of course play the game which unlocks even more secrets. Make sure to check the Read me file before installing. Please also check the in-game objectives, hints and spotlight carefully because there is more than meets the eye. This is Age of Mythology the Titans hobby project was at first just an eyecandy screenshot series. I always liked these small-sized scenario maps with stuff on them…so I created the Tower and shot some screenies. later on I thought that maybe it would be fun if people could actually see this tower for real in their Age of Mythology game. So inspired by the Wonders of the deep mini puzzle i turned the map into a rpg/puzzle scenario which would right away be the final scenario/story part of the Spartans multiplayer campaign. Well I hope you guys & girls enjoy this joint. YOUR AGE OF MYTHOLOGY SCREEN JUST GOT BIGGER ! The trailer is also available on Youtube BUT the one on this page contains the original soundscore…..Download locations for this trailer can be found here. All Tower of Babylon screenshots can be found in the Age of Mythology The tower of Babylon gallery. In January 2015 an updated version for AoM EE has been released on the Steam workshop. The Tower of Babylon scenario for Age of Mythology the Titans download. Download this Vandhaal joint and enjoy Guys & Girls. The download package contains all you need to enjoy this campaign for your AoM TT game: scenario files,custom music folder, Custom sound effect folder, custom voice acting folder, Intro movie, read me. 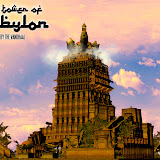 The Tower of Babylon AoM TT scenario is downloadable on various locations. If the above download links do not work for you just message/ post a comment to The Vandhaal. The file has a size of 29,30 mb. The download package is compressed with winzip. The below image combined with the description should help you on your way to view the voice acted end cinematic and learn the truth around the Tower of Babylon. ….and a general tip: if for some reason your “hero” gets stuck at some location on the map, you should try to switch from day to night or night to day….. in all cases you can get your guy out of those places with this. H- The Wolf/day and the Boar/night curse, mission riddle: CLUE SPOILER: Loki – K and I + (2 more letters)> VE = ❤ (and what does a heart stand for??? exactly…… after this just find the Osiris box and use the just mentioned password: (Player uses chatcode). ZA- Mehrak receives, at night, his reward from kevinShah here (receive clue).